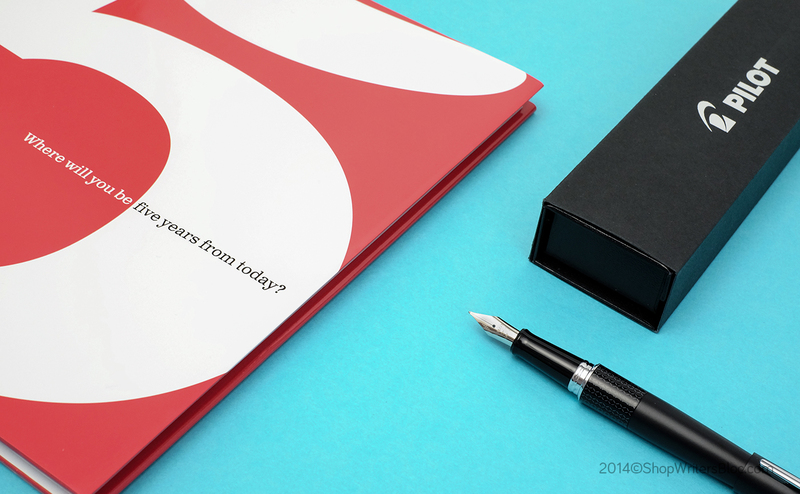 In this digital age, fashionably nostalgic stationery is still highly treasured by writers all around the world. Here are eight of our top modern choices that reconnect us with days of the past. A personalized wax seal is a great way to make any invitation, thank you card or old-fashioned snail mail stand out in the crowd. Wax seals can be used to embellish wine bottles, for scrapbooking, to seal packaging, to add the finishing touch to a wrapped gift and much more. 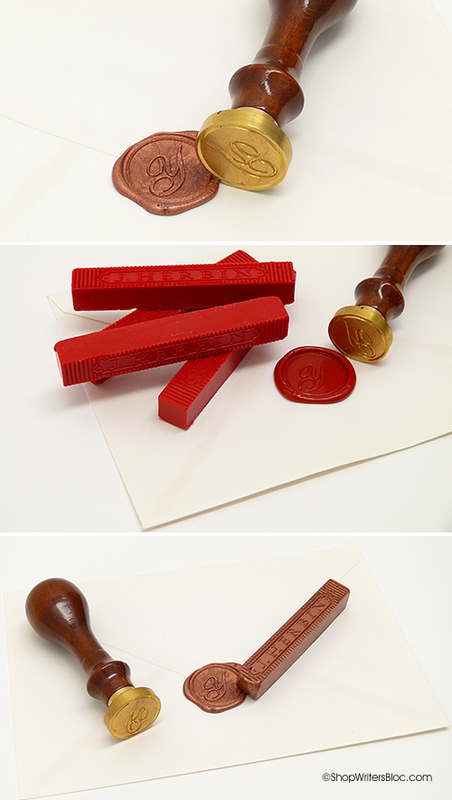 J. Herbin’s Supple Sealing Wax resists cracking or chipping when applied to envelopes being sent through the US mail. J. Herbin’s hand-blown glass pens are beautiful and elegant works of art made in the style of glass pens popular in 17th century Venice. The glass nib on this dipping pen has small spiral grooves that hold enough ink to write several lines without the need to re-dip. 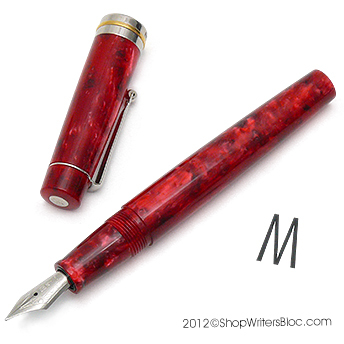 They can be used along with fountain pen ink or other specialty inks made for dipping pens. For over 150 years Brause has been making steel calligraphy nibs of excellent precision and durability. 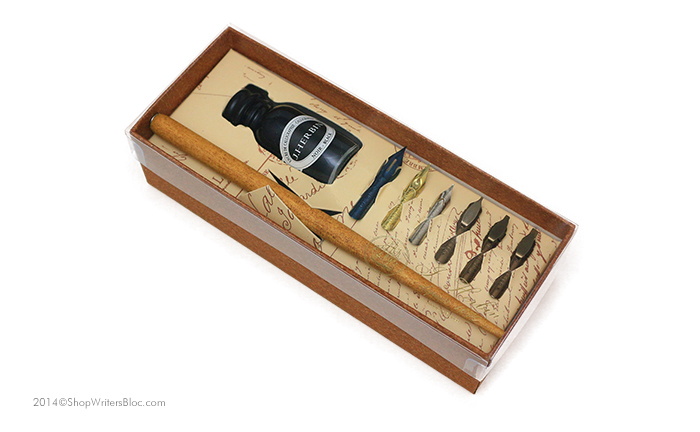 This gift set includes a small bottle of ink and 6 different nib types for both script and calligraphy. J. Herbin Calligraphy Ink is specially formulated with natural resins allowing the ink to adhere to a metal nib, yet flow smoothly and consistently. 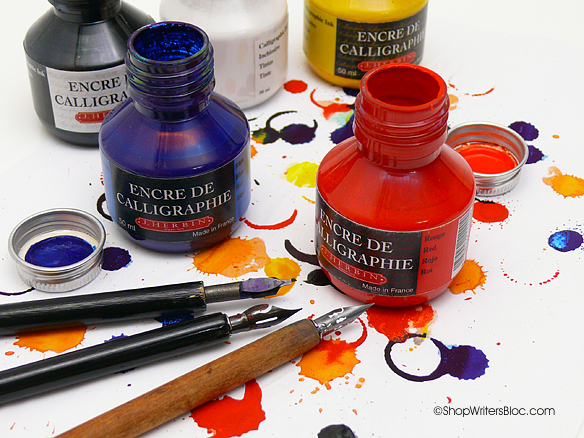 For use with dipping pens, steel nibs, glass or quill pens, calames and brushes. It pairs well with the J. Herbin Glass Pens and Brause Calligraphy Dipping Pens. J. Herbin’s 1670 Anniversary Fountain Pen Ink comes in a cool retro cube-shaped bottle that is sealed with wax and decorated with a “1670” wax seal. 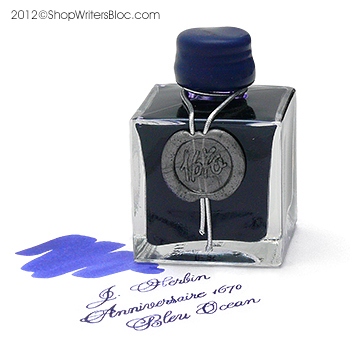 J. Herbin created its “Anniversaire 1670” inks in honor of the 340th anniversary of the J. Herbin ink brand. Napoleon, Victor Hugo and Louis XVI all used J. Herbin inks! This Delta Vintage Fountain Pen is made from a mother of pearl acrylic resin that beautifully catches the light. Like fountain pens of the past, it is carefully hand-crafted and made with attention to detail to produce a quality writing instrument that can be treasured for generations. Also available in Lava Stone Black, Deep Ocean Blue and White. 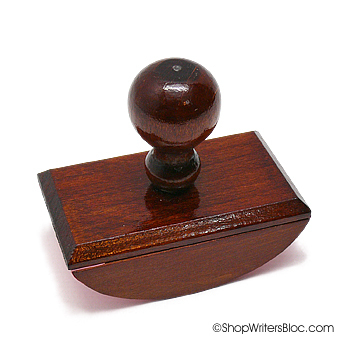 The Traditional Rocker Style Wooden Ink Blotter from J. Herbin is easy to hold and a clean way to avoid smearing excess wet fountain pen ink. 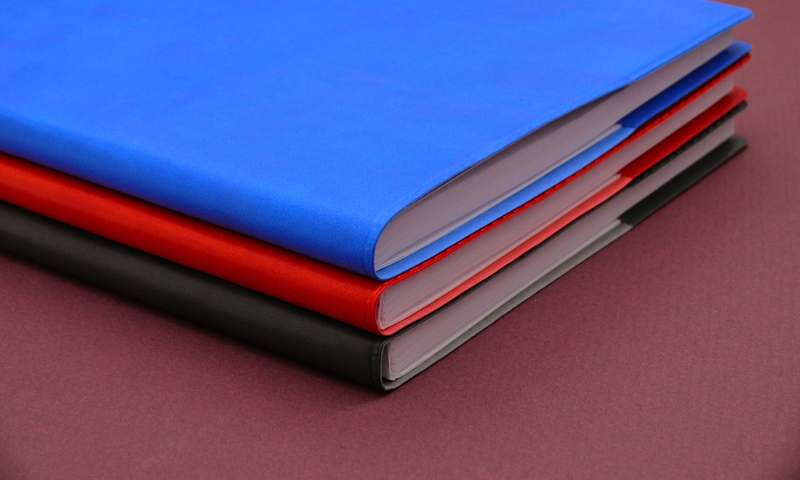 It can be refilled with Rocker Ink Blotter Paper Refills, or purchase larger sheets of Blotter Paper to tuck inside the cover of your journal or notebook. In addition to all of your great nostalgic writing gear you’re going to want some high quality paper to enjoy it with. 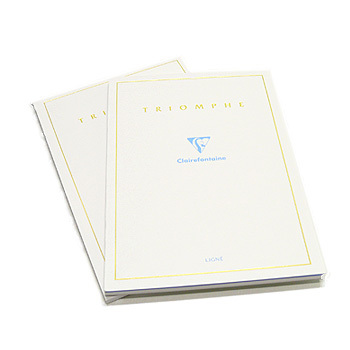 Classic Clairefontaine Triomphe Stationery Tablets fit the bill with brilliant white 90g, acid free, ultra-smooth paper. Fountain pens write like a dream on this paper! Matching envelopes are also available. What are your favorite “vintage” writing tools? 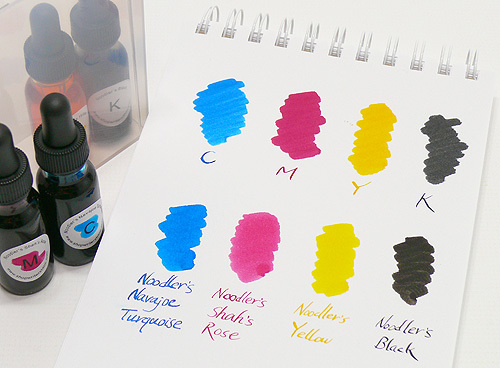 Back in 2009 we were like mad scientists with our fountain pen ink – instead of buying a bottle of ink in each color we were mixing ink colors to create our own custom color shades. It was creative and a lot of fun, with some so-so results and some fantastic inky discoveries! 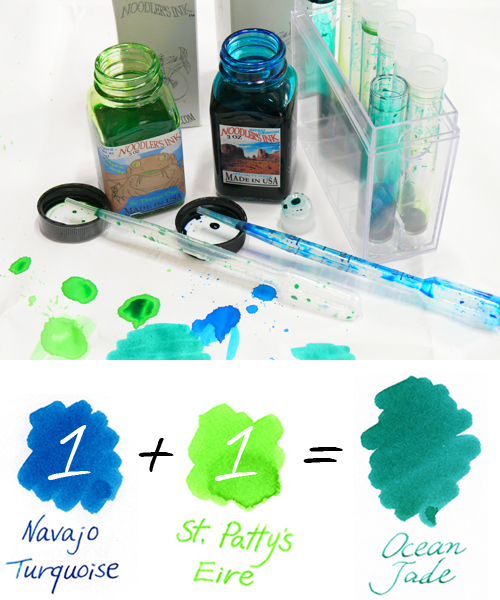 Have you ever given ink mixing a try? This was the inspiration behind creating our own Noodler’s Ink Starter Kit in 2009, which is still available at Writer’s Bloc. 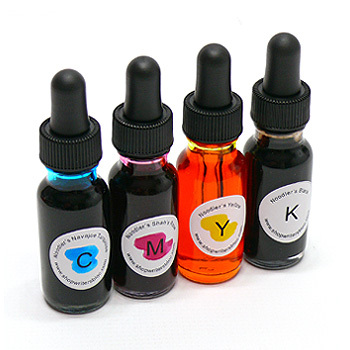 This kit contains about 1/2 oz each of the 4 basic Noodler’s Ink mixing colors in glass eyedropper bottles that are useful for measuring ink drops in your experiments. If you need somewhere to store your ink color creations, we’ve got several solutions for you: capped test tubes, eyedropper bottles, small plastic bottles and a blunt tip needle bottle (for filling empty ink cartridges). Other reasons we were experimenting with fountain pen ink back in 2009 were to see if this would improve ink flow in some dry-writing pens and also to find the most saturated, blackest black fountain pen inks. Another experiment that proved to be popular in 2009 was swapping the regular nibs on LAMY Safari fountain pens with LAMY calligraphy nibs. It’s a great way to try out some calligraphy without having to buy a whole new fountain pen. Have you tried this yourself? We used to swap the nibs for you in our shop. Now, you can buy an extra LAMY calligraphy nib at a discounted price at the same time as you purchase a LAMY Safari fountain pen. 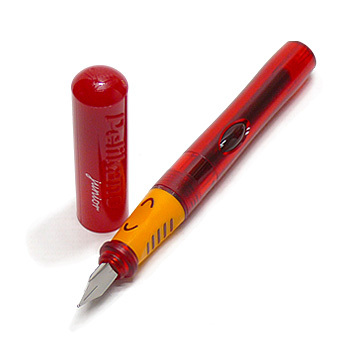 Or, if you’ve already got a LAMY Safari, you can buy the nibs separately. We’ve got easy instructions so that you can change the nib yourself. 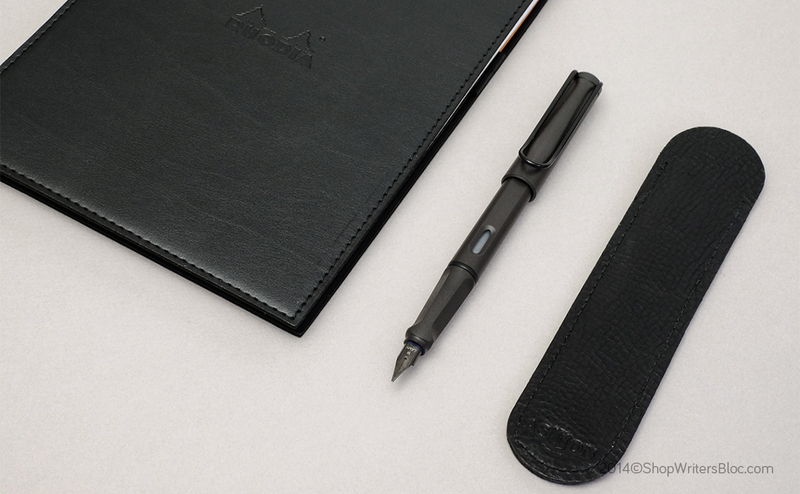 Rhodia Leatherette Pad Holder with Notepad, LAMY Safari Fountain Pen, Aston Leather Single Pen Case. Got a future business tycoon on your hands? Let him/her look the part while they wait for their age to catch up! We love the all-black theme of this gift, but these items come in brighter colors as well. 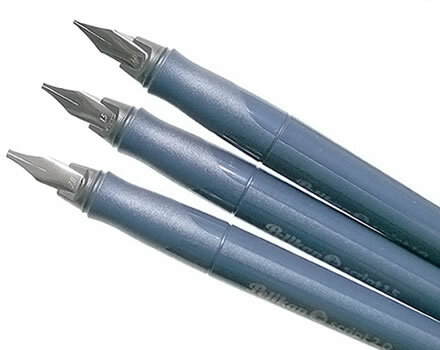 The 5 Book, Pilot Metropolitan Fountain Pen. Take some stress off your freshmen and help them get organized. The first year of college can be overwhelming and this book can be a helpful guide to setting life goals and making a long term plan. 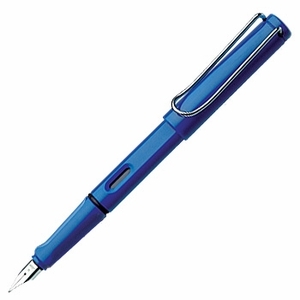 The classy, yet affordable, Pilot Metropolitan fountain pen is the perfect tool for writing down thoughts and goals. 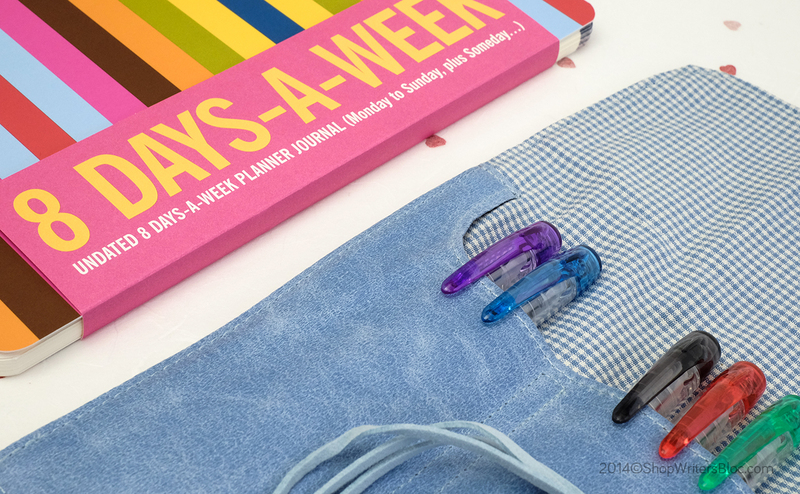 Bob’s Your Uncle 8 Days a Week Planner, Preppy Fountain Pen Set, Ple Ple Pen Wrap. For the social butterfly, summer is the busiest time of the year! Your Grad will never have a dull moment this summer and will be able to plan their brunch dates, movie nights, and beach trips down to the hour. 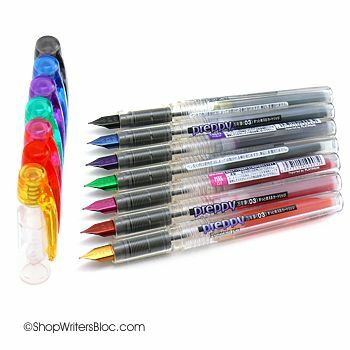 Color code activities with a set of Preppy pens and carry them in a fun and convenient Ple Ple pen wrap. 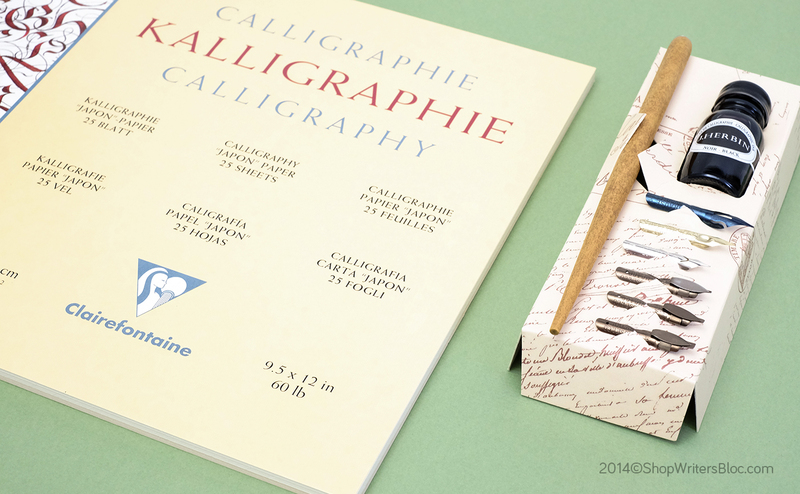 Brause Calligraphy Gift Set and a Clairefontaine Calligraphy Art Pad. Give your student a classic and hip way of expressing their creativity! 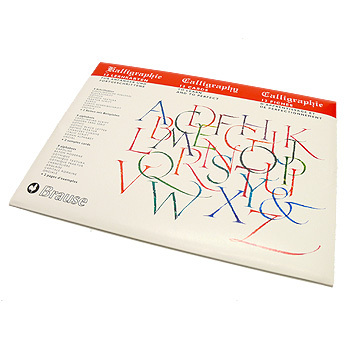 Introducing your student to calligraphy can give them a skill that will stand the test of time. 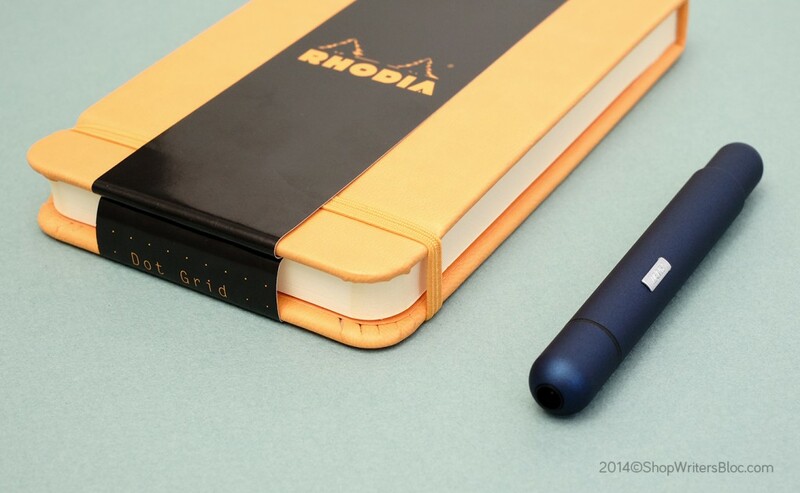 Rhodia Webnotepad, LAMY Pico Pen. For the organized nomad, these pocket sized items are easy to travel with and great for note taking, list making, and sketching. A great place to jot down how to say “where is the restroom” in multiple languages for reference when in a pinch! Gift Certificate – For the impossible to shop for…and everyone loves a gift card! 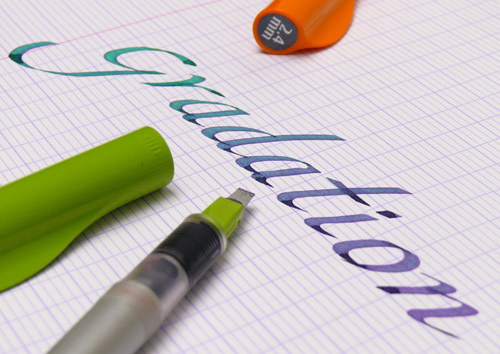 What gift will you buy to congratulate the Grad in your life? 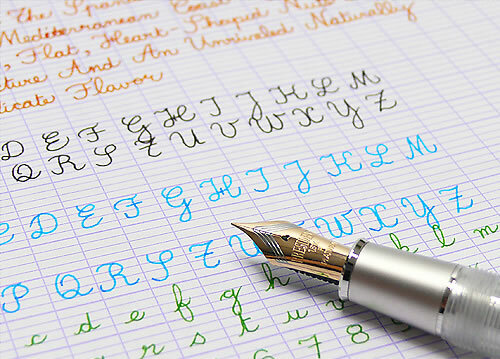 We love the Pilot Parallel Calligraphy Pen and its ability to produce gradated lettering! For those of you unfamiliar with this function we are providing a simple explanation along with some samples. We found this definition of "gradated" on thefreedictionary.com: "(Fine Arts & Visual Arts / Colours) to change or cause to change imperceptibly, as from one colour, tone, or degree to another." In other words, as you are writing with the Pilot Parallel Pen you can make your lettering gradually change from one color to another. To do this, you will need 2 Parallel Pens filled with different ink colors. Suppose you are writing with a Parallel Pen filled with violet ink and you would like to create lettering that slowly changes in color from green back to violet again. Hold your Parallel pen filled with violet ink so that the nib is pointing up. Hold another Parallel pen filled with green ink so that the nib is pointing down. 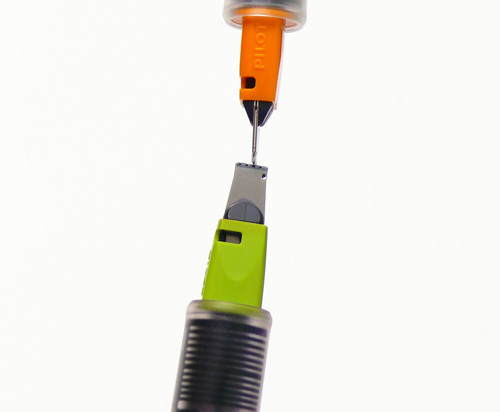 Touch the nib of the green pen to the nib of the violet pen and hold the nibs together for several seconds. 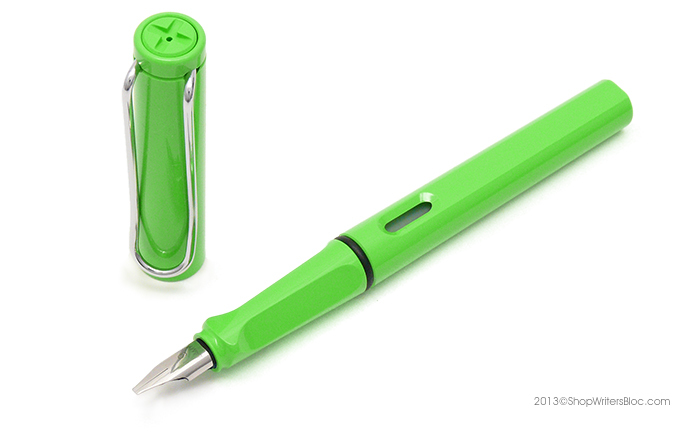 Some of the green ink will have transferred to the nib of the pen with the violet ink. 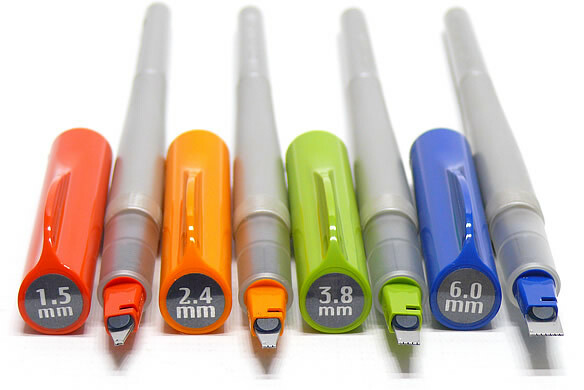 When you resume writing with your Parallel pen filled with violet ink, you will find that the lettering begins as a green color and as you continue to write your letters will gradually become violet again. This technique produces beautiful gradated lettering that can add an extra special touch to your calligraphy creations. Have fun and email us your results! We’d love to see your designs and feature some of them on our blog.